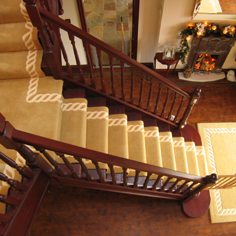 A long established flooring store, where you will find freindly staff with a wealth of knowledge and experience. The one stop shop for all of your flooring needs. We work with the leading manufacturers and have samples on show, where you can feel the quality and find the right colour to match your decor. Free estimating and planning in your home is available and we can bring the along samples for you to view in your home.